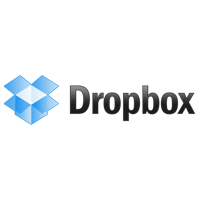 •	Dropbox offers a variety of different levels of service to all of the visitors to their website. Free Dropbox access is available, with paid extra storage and premium features available as well. All of these options are digitally downloadable and available on a bunch of different devices and across operating systems. •	Those that refer Dropbox to friends and family will be able to take advantage of extra storage space added free of charge to their current Dropbox capacity. These extra storage bumps are permanent and available so long as a member uses the service. •	Follow this company on social media to unlock special access to coupon codes, deals, and discounts on premium Dropbox service as well as other freebies and offers. If you have the need to share files with people in a study group, at work, or even with your family, Dropbox is a program that most people use. When you sign up for an account you are given a certain amount of storage space where you can upload any files and share them with other people. If you're working on a project it gives everyone the ability to share files with one another in one location. On the company's website you can learn more about the personal Dropbox program and their business version. There's also the ability to download their app for mobile devices. For most up to date offers check out Dropbox on Facebook and Twitter or contact Dropbox Support for any questions.